This coffee-coloured paper wonder is a pocket-sized handmade imitation record player complete with illustrative turntable, card record in printed sleeve and fold out instructions. 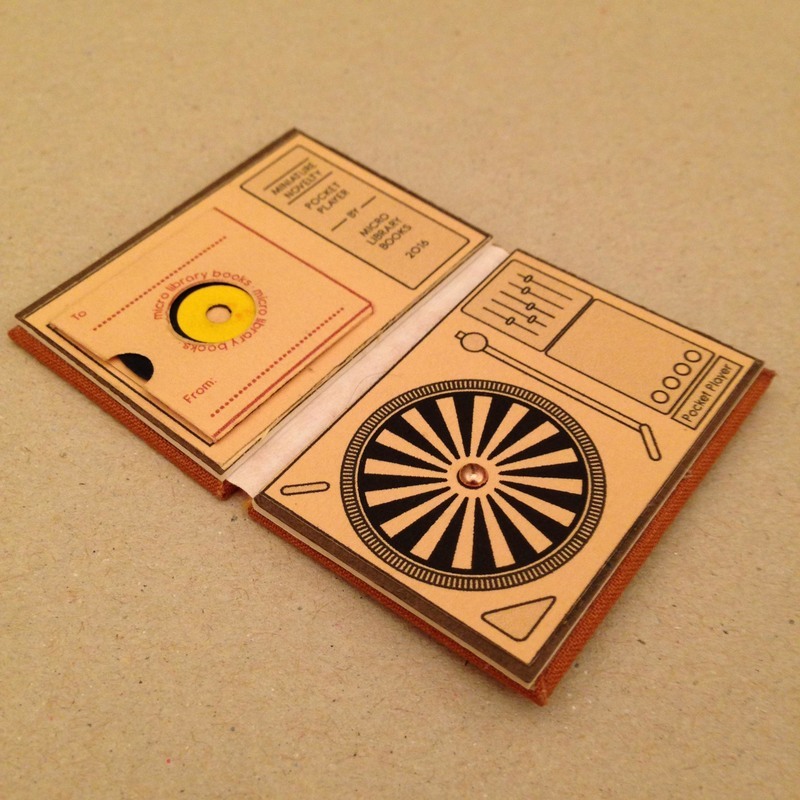 The card record sits on the turntable by way of a miniature metal split pin. 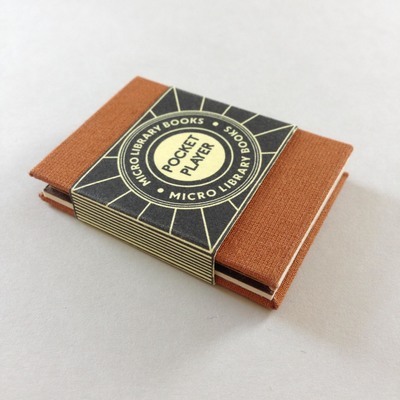 This bookwork is a novelty item; an imitation miniature assembled from printed-paper and card. It does not include any electrical or mechanical components, it is not a sound-making device capable of amplification. 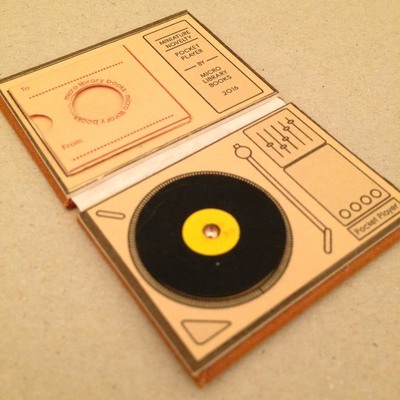 It does not emit sound of any kind or play vinyl/shellac records. 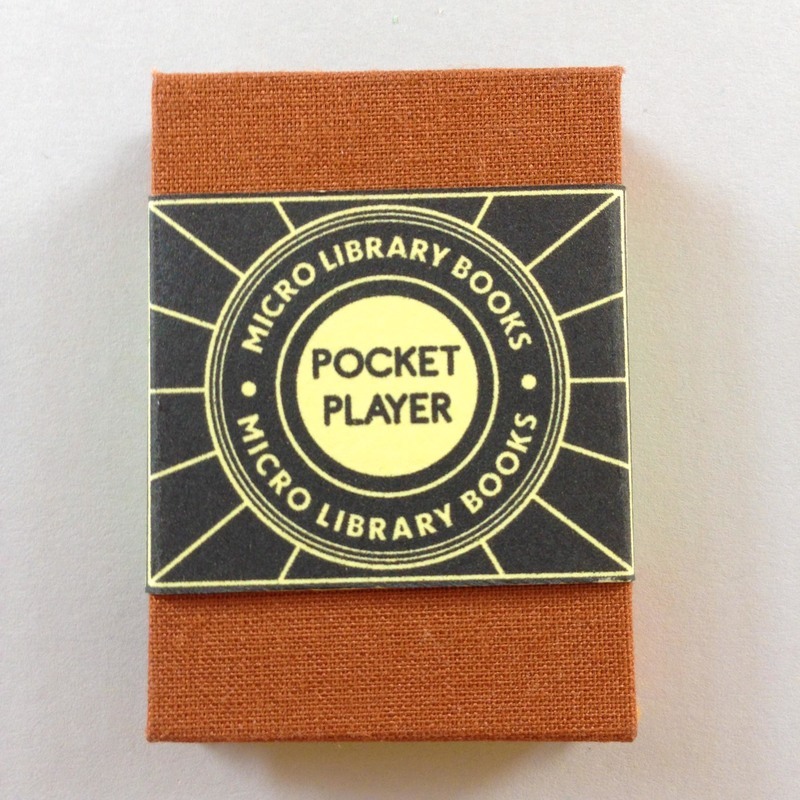 The pocket player contains small parts so is not suitable for children under 12 years of age.